installation company in the region. We offer a full 24 hour callout facility to all our maintained customers. As an SSAIB accredited company, we have to respond to any alarm system emergency within 4 hours. 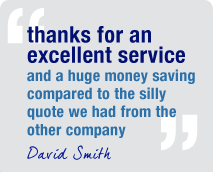 Our policy is to respond as quickly as possible, This is on average within 2 hours of your initial call. We also offer an emergency callout service for all non maintenance contract customers. This service is available during standard business hours of 09:00 - 17:00 Monday to Friday only. Charges may vary upon your location. Prices are available on request.